The Fire Chiefs Special Achievement Award recognizes an individual’s extraordinary performance or service which contributes significantly to the overall mission of the Fire/EMS Department. This Battalion Chief enthusiastically accepted to take on this responsibility. This was not a mandatory assignment – he could have taken the easy road and passed, but he did not. 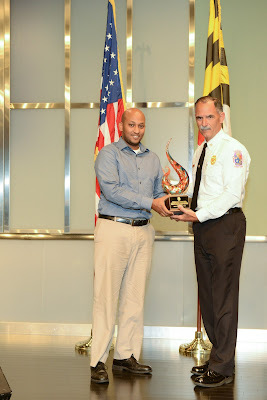 With the help of many others, he coordinated the effort which brought personnel from around the region, including Fire/EMS and Police Departments, K-9, Investigative teams and bomb squads. Over 1,000 personnel were afforded the opportunity to train for extended periods, days, nights, and weekends during the four month project. 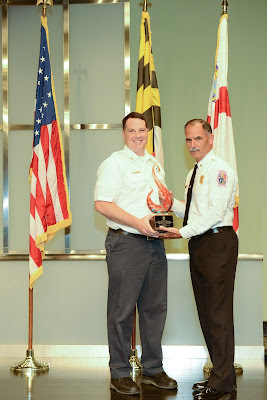 Making the award presentation Bashoor said, “For his tireless efforts as the Market Place Coordinator, I am honored to present Battalion Chief Christian Wargo with the Fire Chiefs Special Achievement Award. 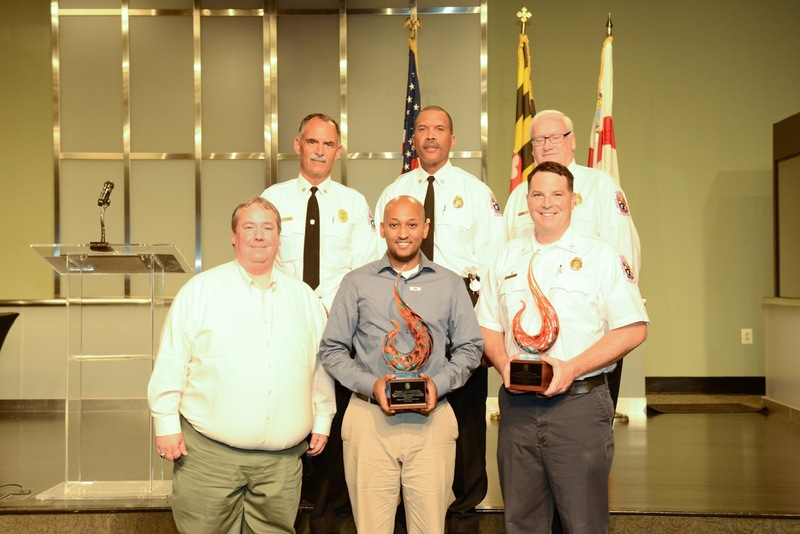 After the tragic Christmas Eve and Christmas day fatal fires in 2014, the program now known as Adopt-a-Neighborhood was developed. The program compliments our long established smoke alarm programs, with a proactive door-to-door campaign aimed at ensuring all homes in the county have working smoke alarms and carbon monoxide detectors where needed. 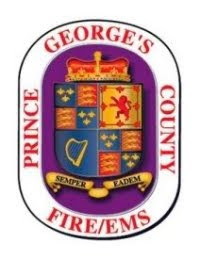 One of the Departments historic problems with smoke alarm efforts has been tracking where alarms have been installed and more importantly, not installed. With advances in technology there had to be a new hi-tech effort to accomplish this. After a couple of meetings with the County Office of Information Technology and their talented staff the “right guy” was identified who had the talent and thankfully the time to help the Department leap to that hi-tech place. The ARCGIS application was developed and used with some refinements. This app is downloaded onto smart phones and updates performed on site by firefighters. Although it may never be “complete” the program is now being used at many of our 45 stations with paid, volunteer and civilian members using the application as we go door to door. Existing GIS data is used to track our door to door campaigns, including real time recordings of installations, failures, and rejections – the real-time database provides an instantaneous capacity for follow-up that did not exist before to ensure neighborhoods are completely protected. The development of this program has revolutionized our record keeping efforts and significantly reduced the amount of time spent managing the program and measuring effectiveness. The program is also directly responsible for convincing several businesses to contribute to the adopt-a-neighborhood program. After developing the program, OIT personnel have accompanied us on at least three of our weekend community events. The program, which may be the first of its kind in the nation, has garnered national attention. As a result of the application effort, the OIT staff has been requested to present at several GIS Conferences.